This page may contain affiliate links, which means we earn a commission when you buy through our link (at no additional cost to you). I only promote products I personally love or from companies I trust. Read our full Disclosure Policy. When you think about frugal, one thing that pops out from your mind is that you can’t be fashionable and stylish. We always think that being frugal means we need to reduce expenses as much as we can and sometimes we shouldn’t treat ourselves. This is so wrong. Even though, I’m still new to the frugal lifestyle. I’ve always wanted to find something that could replace my old habits in a frugal way. We know that being frugal meaning we can’t treat ourselves as much as before but one thing for sure that we can change that into a more affordable way. One of my favorite old habits is Nail Art! I always paint my nail color based on my mood and sometimes based on the season and because spring is here, I want to paint my nails with colorful nail polishes. 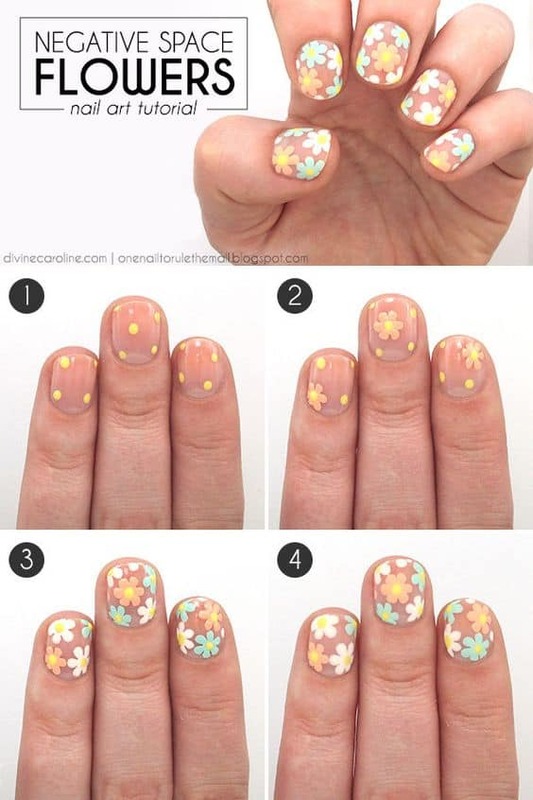 That’s why I’m going to share some of the DIY Nail Art Ideas You Need to Try This Spring. All of these are easy tutorials that even a beginner can follow! Let’s get stylish! Let’s start with something simple like making colorful flowers! What you need to have for this is a clear nail polish as the base and then blue, yellow, white and orange pastel nail polish for the flower. Don’t worry if you think you bought too much nail polish. You can always reuse this nail polish for other nail art ideas. Keep reading and you’ll see! via More. Like I said previously, the nail polishes you bought can be used for other ideas! Look at this cute little white daisies with a baby blue nail polish as the base. This is perfect for a bright nail art for spring! via More. Pastel color always perfect for springtime especially pink, blue and purple. 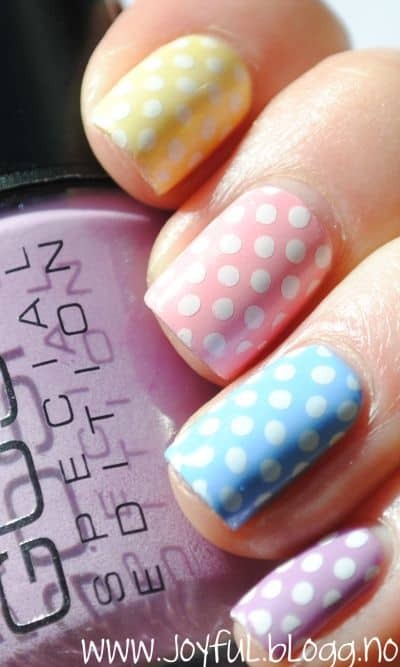 Mix the color for each nail and add a bit of color as the dot. You are ready for spring! via We Heart It. Back to flowers again but this one is a more detailed one. 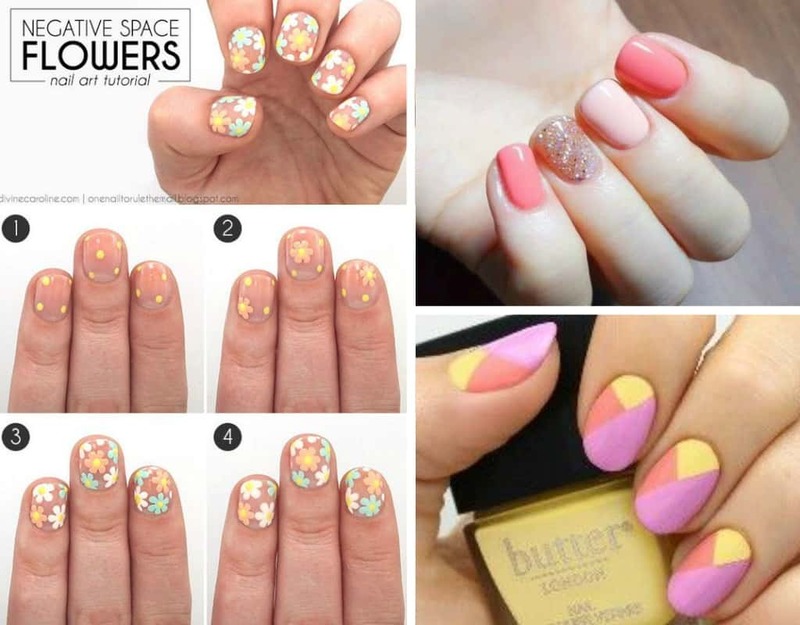 Seeing cherry blossom flowers is very popular in Japan but what if you can see it every day on your nails? 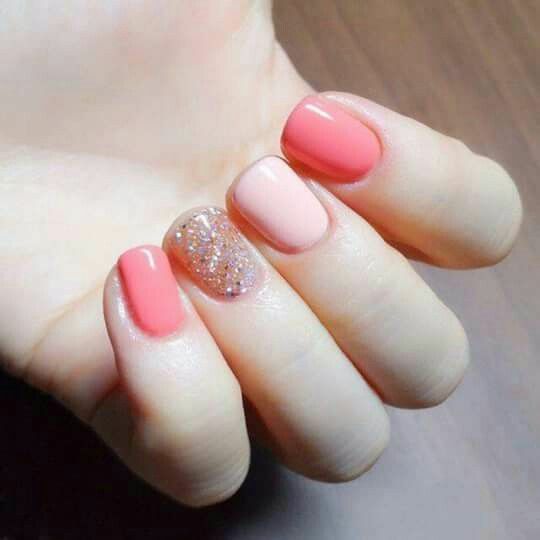 Check this beautiful combination color that look elegant! via Everyday Theresa. 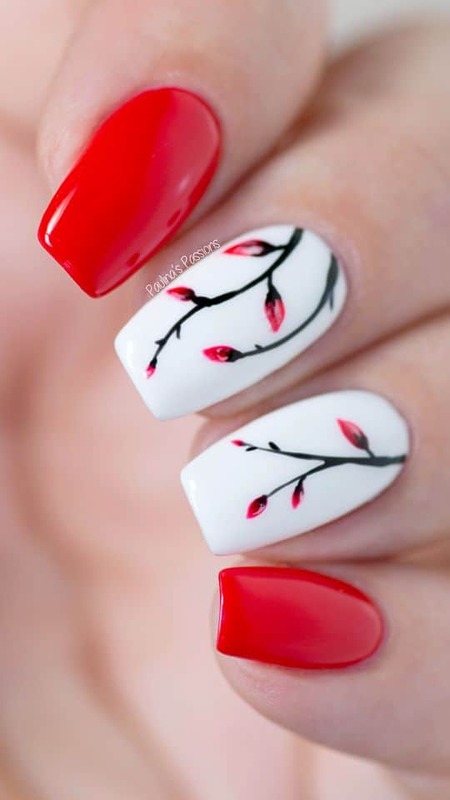 Another option for bold nail art is this Red Floral Nail Art. The color combination of bright red and white is perfect for springtime! Check out the tutorials via Paulina’s Passions. 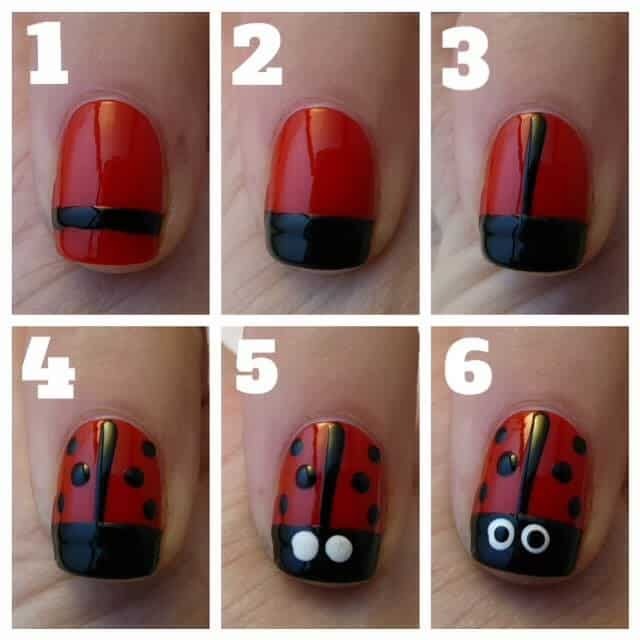 This super easy tutorial on ladybug nail art is a must try for a cute look or you can do this together with your daughter! via Casa De Polish. Bored with pink? 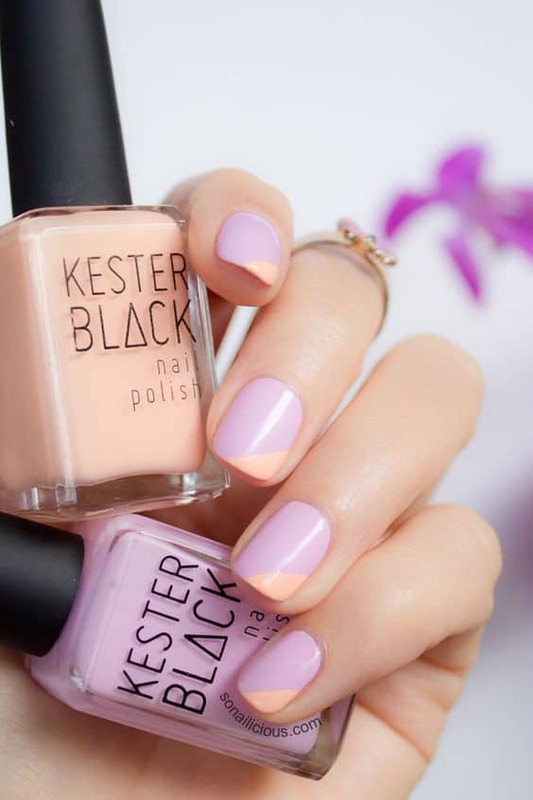 Try this purple and orange pastel color! 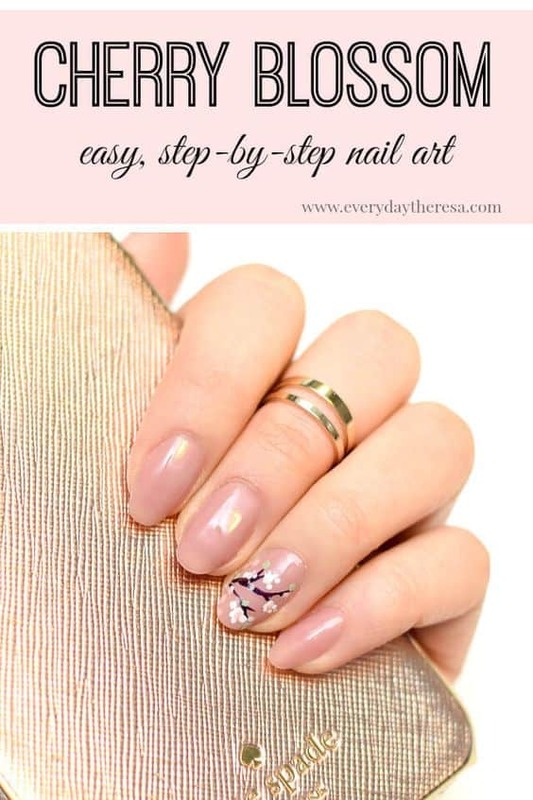 If you like a simple nail art then this is perfect for you. Check the tutorial via So Nailicious. Bright colors are perfect for springtime. You can use the previous nail colors to create this nail art via Lulus. 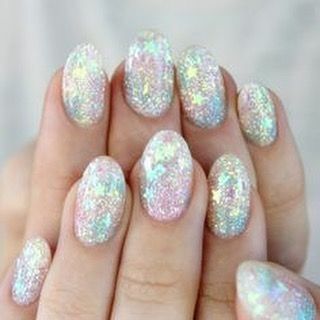 If you love glitter then this nail art is perfect for you. It’s full of glitter with a hint of pink, blue and purple and some stars. So mesmerizing via WildFoxCouture. Not so much of a glitter person? Try this simple and elegant with a little bit touch of gold glitter. If you are a simple person, this could be your go-to nail art via Image Source. Another choice you can do if you want to play with more colors. 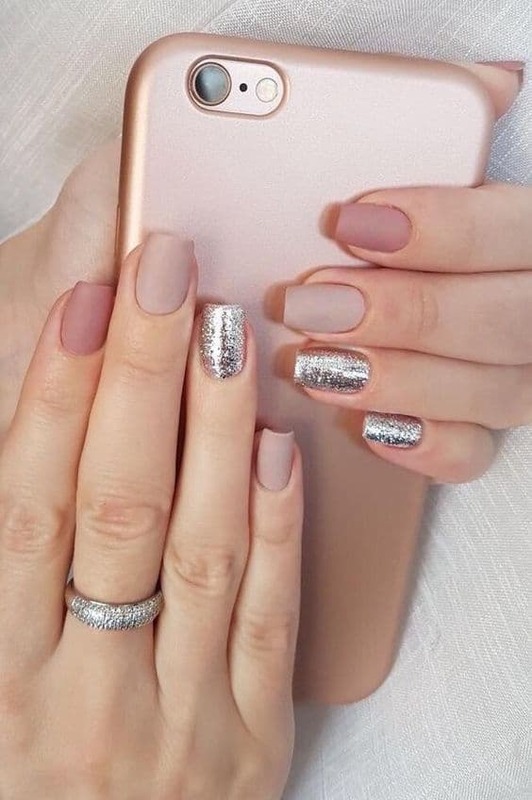 You can play with matte also if you already bored with shiny nails via Pinterest. Need some nail polishes to add to your collections? Follow me on Pinterest to get inspired!